There is a place of crisis to which every saint must come, for there is an inherent humanism in all men and women, and even after conversion to Christ there lingers a dualistic nature. 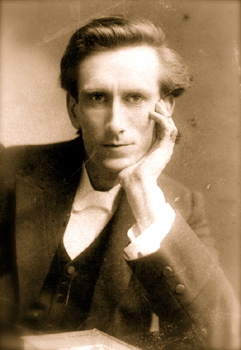 We have tasted of the Divine nature, but we have yet to come into the fullness of Jesus Christ, and unless we see the Lord high and lifted up, and come into a conscious awareness of our own “dustness” in light of God’s own “Godness,” we will lack the ultimate kind of surrender that alone makes the Christian a voice in his generation. “After I was born again as a lad I enjoyed the presence of Jesus Christ wonderfully, but years passed before I gave myself up thoroughly to His work. I was in Dunoon College as tutor of Philosophy when Dr. F.B. Meyer came and spoke about the Holy Spirit. I determined to have all that was going, and went to my room and asked God simply and definitely for the baptism of the Holy Spirit, whatever that meant. …. He became aware of an abhorrent dualism in his personality. The sham and hypocrisy he detested in others had a foothold in his own heart. He could proclaim that God must be given glory for all his good works, but he enjoyed the praise of men. While many people in Dunoon thought he was a near-perfect saint, he knew the truth about himself. Within him lurked a frightening pride that was beyond his power to conquer. …. He realized as he had never believed possible what the disposition of sin in him could do. For release from this dark strife. Oswald was living dangerously close to the edge of a complete breakdown. Have we been brought to this place? I see now that God was taking me by the light of the Holy Spirit and His Word through every ramification of my being. The last three months of those years things reached a climax, I was getting very desperate. I knew no one who had what I wanted; in fact I did not know what I did want. But I knew that if what I had was all the Christianity there was, the thing was a fraud. …. those of you who know the experience, know very well how God brings one to the point of utter despair, and I got to the place where I did not care whether everyone knew how bad I was, I cared for nothing on earth, saving to get out of my present condition. At a little meeting held during a League of Prayer mission in Dunoon, a well-known lady was asked to take the after meeting. She did not speak, but set us to prayer, and then sang, ‘Touch me again, Lord.’ I felt nothing, but I knew emphatically my time had come, and I rose to my feet. I got up again and said: ‘I got up for no one’s sake, I got up for my own sake; either Christianity is a downright fraud, or I have not got hold of the right end of the stick.’ And then and there I claimed the gift of the Holy Spirit in dogged committal to Luke 11.13. And what was Oswald’s testimony when he broke out of this season and was immersed in the Holy Spirit? Finally (after 4 years of inward agony), the long night was over and peace had come. The citadel of his heart had fallen, not to a conquering Christ, but to the gentle knocking of a wounded hand. In a new and powerful way, at the age of twenty-seven, the story of Oswald Chambers’ life had just begun. All of this transpired many years after Chambers first came to the Lord, and just as Isaiah cried out and was cleansed with fire and commissioned, Oswald would spend the rest of his days living a newly charged life. At the time of his death, his life was called by friends “the greatest demonstration we had ever seen of the Sermon on the Mount fleshed out.” To this day, his devotional can be found in the homes of believers all over the world, and the prophetic nature of his words are reaping the fruits of Christ in thousands of hearts, day after day. No man can bring you to this place, friend. You must face the Lord in the secret place. What men have thought of your personality and spirituality matters not. God Himself is on the Throne, and He waits in kind seriousness for you to come. He will uncover and reveal your soul, purge and refine your motives, stretch and test your heart, and from that place of wrestling with God alone, He will fill you with His own Spirit, and cause you to arise, a son or daughter of the Mighty One. You will declare His great love and holiness, “Jesus only, Jesus ever,” and you will lead many sons to glory. Oh how our hearts desperately need this kind of reality among ourselves and among all the saints! God let me have all of Luke 11:13! Another one of your best posts Bryan! It spoke to me right now in something I’m going through. Wow.